OnePlus 5T – 20-hour battery life, anyone? 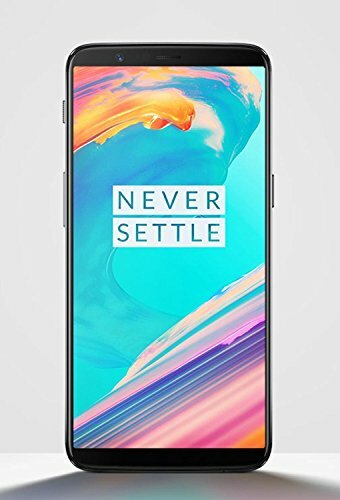 Despite adding only one letter to last year’s OnePlus 5, the 5T feels like a new phone. The glitchy wide-angle/telephoto dual camera has been replaced, while the front gets a wider-than-widescreen 18:9 AMOLED screen reminiscent of the iPhone X.
moved to the back. You can also use face recognition (but only to unlock the phone, not for payments), which works well. We missed the previous camera’s zoom, but two new wide-angle lenses give very clear pictures even in low light, plus blurred-background effect (called ‘bokeh’) and stabilized 4K video. Android 7 (expect a free upgrade to 8 soon) runs impeccably on the eight-core Snapdragon 835 processor, which is as fast as any phone. As before the battery lasted over 20 hours in our video-playback test. There’s still no microSD card slot, but 64GB of storage will be enough for most people and a 128GB version is available for a very reasonable money extra. The only disappointment is that the 5T still isn’t waterproof.